New patients and referrals are always welcome. If you are an existing patient, we would like to thank you for trusting us with your dental care. If you are a new patient we would like to welcome you to our dental office. Dr. Morgan Hall and his dental team will listen to your concerns and wishes, and will offer you appropriate treatment options that will enable you to achieve the results that you desire. Skill and compassion go hand in hand when providing exceptional patient care. As dental professionals, we stay up to date on the latest advancements in dentistry in order to provide the most current treatment options for our patients. We recognize that each patient is a unique individual who has placed a great deal of trust in our team. This is just one reason why we value each and every patient relationship. Contact Us Today @ 250-477-5223! 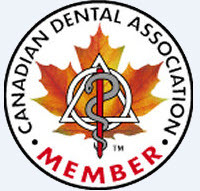 This website is a resource that I hope you will find both useful and informative, and will help contribute to a positive experience in our Victoria dental office. Victoria, BC Dentist Dr. Morgan Hall provides family & cosmetic dental care and offers services that include: Teeth Whitening, Crowns, Veneers, Root Canal Therapy, Periodontal Treatments, Dentures, Dental Exams, Professional Teeth Cleaning & Dental X-rays. Accepting New Patients. Contact our Victoria dental office today to schedule your appointment.